Briefe discovrse: Amsterdam, Theatrum Orbis Terrarum. 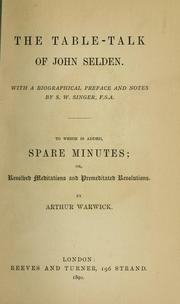 The dissertation of John Selden, annexed to Fleta: Translated, with notes. By the editor of Britton: translated and illustrated. 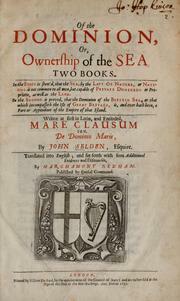 Ioannis Seldeni De iure naturali & gentium, iuxta disciplinam Ebraeorum, libri septem. 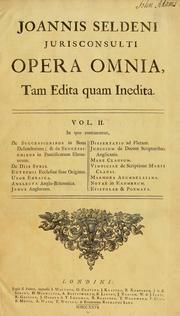 Ioannis Seldeni De synedriis & præfecturis iuridicis veterum Ebræorum. 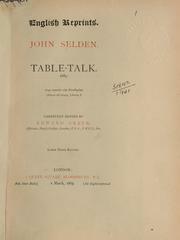 Ioannis Seldeni De iure naturali et gentium iuxta disciplinam ebraeorum libri septem. V. cl. 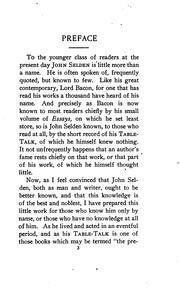 Joannis Seldeni De synedriis & praefecturis juridicis veterum Ebraeorum libri tres. 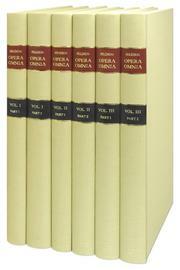 Joannis Seldeni De jure naturali et gentium juxta disciplinam Ebraeorum libri septem. 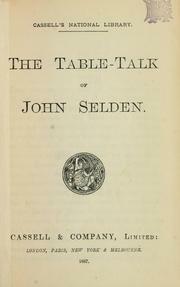 Joannis Seldeni De jure naturali et gentium, juxta disciplinamEbraeorum, libri septem. Ioannis Seldeni De synedriis et praefecturis juridicis veterum Ebraeorum libri tres. 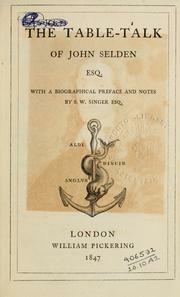 Ioannis Seldeni De synedriis & praefecturis juridicis veterum Ebraeorum. 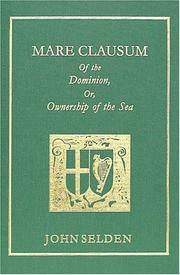 Of the dominion: or, Ownership of the sea. The history of tithes: that is, the practice of payment of them, the positive laws made for them, the opinions touching the right of them : a review of it is also annext, which both confirms it, and directs in the use of it. 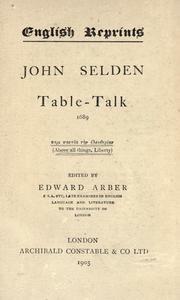 Table-talk: being the discourses of John Selden, Esq: or his sense of various matters of weight and high consequence; relating especially to religion and state. Joannis Seldini juris consulti opera omnia, tam edita quam inedita. In tribus voluminibus. 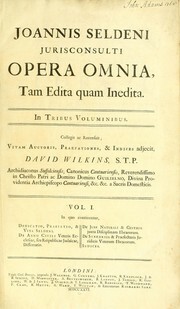 Collegit ac recensuit; vitam auctoris, praefationes, & indices adjecit, David Wilkins, S.T.P. 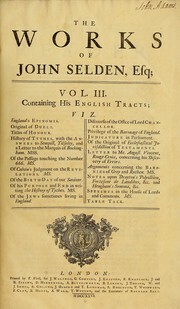 John Selden, Of the judicature in parliaments: a posthumous treatise, wherein the controveries and precedents belonging to that title are methodically handled. V. Cl. Joannis Seldeni De synedriis & præfecturis juridicis veterum ebræorum: libri tres. 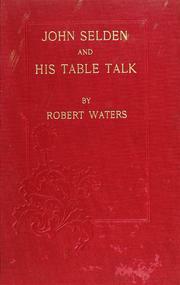 De iure naturali & gentium: iuxta disciplinam Ebraeorum, libri septem. De svccessionibvs ad leges Ebraeorum in bona defvnctorvm, liber singularis: in pontificatvm, libri dvo. 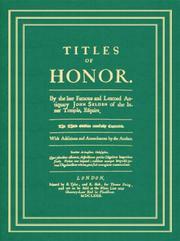 The histoire of tithes: London, 1618. The privileges of the baronage of England: when they sit in Parliament. 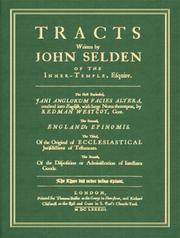 Are you sure you want to remove John Selden from your list?